How important is a good night sleep, eh? Have you ever been away for a holiday, short break or business and stayed in a hotel where you’ve lay awake due to noises, thinking someone’s going to walk in, an uncomfortable bed, it being way too hot in the room…the list goes on right…I’m sure I’m not the only one. Although I’m probably one of only a few who thinks too much of work before bed, therefore not sleeping due to anxiety and probably dreaming of work things – I’m so silly! Last week and the week prior I stayed away on business for a total of four days, as many of you might know, due to being on event. One of the four nights I stayed in a fantastic cosy B&B run by an absolutely lovely couple in Solihull. They made me feel so at home that I had no problem sleeping. The other three nights we stayed in Premier Inns. The first night of the three in total (during the first week of event), I must say I didn’t get the greatest night’s sleep, but I think I was a little nervous of making a fab impression whilst away. 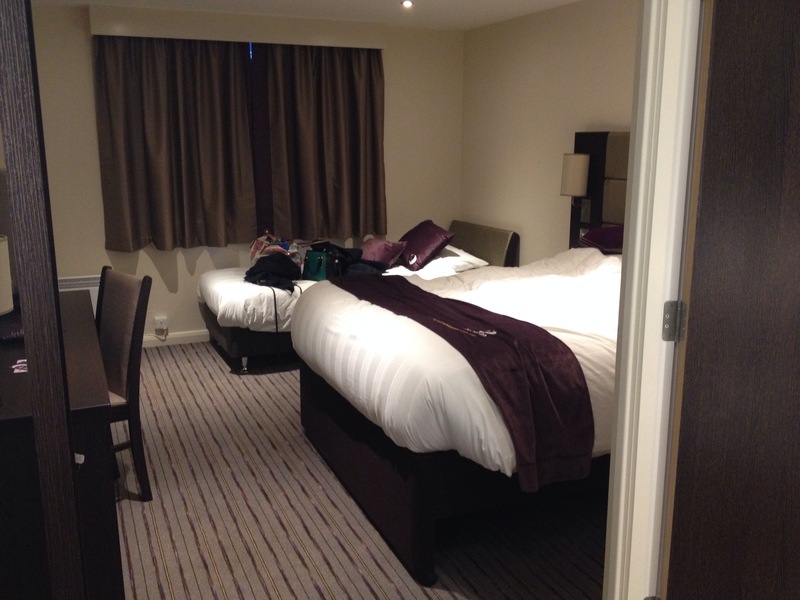 However, the other two nights in a Premier Inn were fantastic! 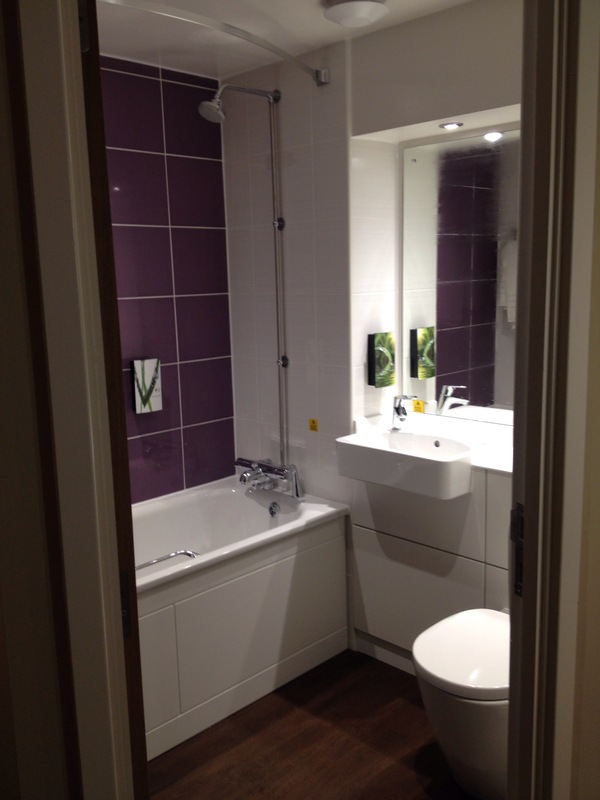 The rooms are kept the same, whichever Premier Inn you stay in, so if on business and travelling from place to place this works so well as they start to feel homely and normal. Big flat screen TV..not that I had much time to myself to watch it, and really needed my sleep by the time I got in! The bed was SUPER comfortable! We had breakfast one morning too, the only morning we didn’t have to be at the shopping centre extremely early – an all you can eat continental for about £6.50! Bargain. It was delicious, we had yoghurt with fresh fruit and granola and finished off our banquet with crumpets! The full english, again all you can eat, is only roughly £8.50 and both of the options came with unlimited juice, tea or coffee! We definitely started our day well. 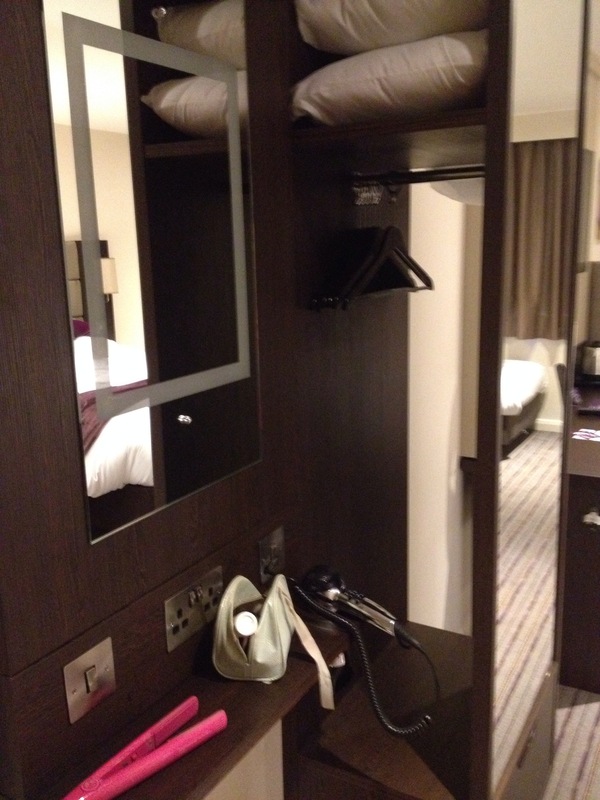 If I need to stay away again I will definitely be looking into staying in a Premier Inn. 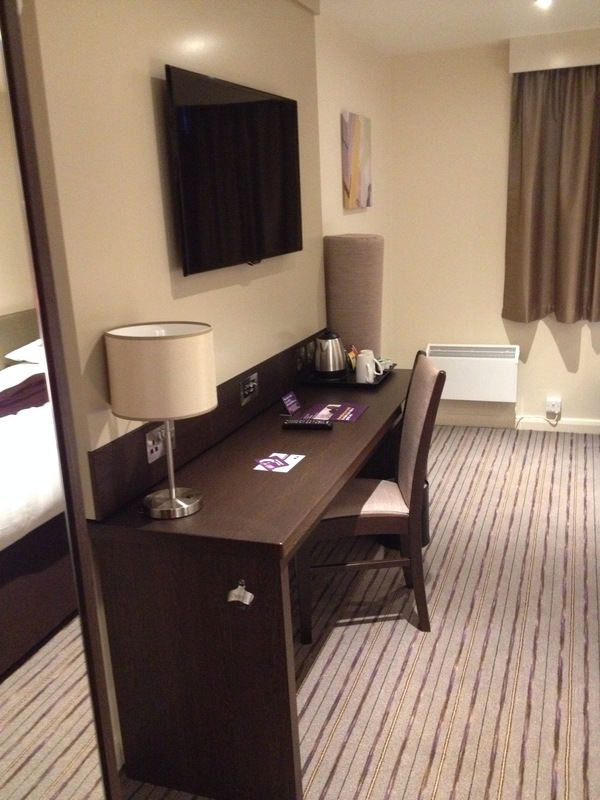 For all you leisure travellers and business bodies, I highly recommend this homely, gorgeous, comfy hotel! Patience..How much do you have? It really does feel like a 5* star room! The beds are so comfortable, you won’t want to get out 😛 I highly recommend them. No problem 🙂 Thanks for reading!